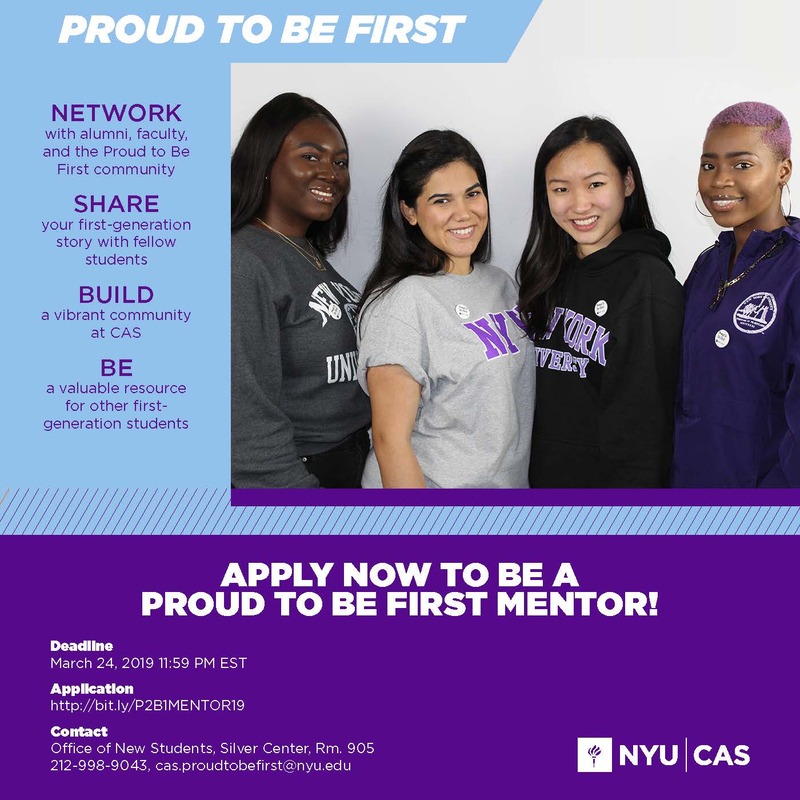 Apply to be a Proud to Be First Mentor for the 2019-2020 academic year! This position is open only to first-generation CAS students and is a wonderful opportunity to develop mentorship skills, get to know other first-gen students and have the opportunity to help support and shape the experience of first-year, first-generation students. A first-generation college student is defined as a student in the first-generation of their family to work towards completing a bachelor’s degree. Proud to Be First matches each first-year, first-generation college student with a peer mentor. Proud Mentors work to plan and implement meetings, events, and workshops; serve as sources of information and support; and help connect first-year, first-gen students to College and University resources, faculty members, and staff. Proud Mentors are encouraged to share their stories and experiences as a way of helping to promote student engagement and success. Please see the Proud to Be First Mentor job description for more information. Applications are available here and must be submitted by Sunday, March 24, 2019 at 11:59 pm.